ParishSOFT is a church management system that helps users run the administrative requirements of their church. It provides a single platform where church staff can work together and communicate with members, as well as manage the membership database, financial contributions, and givings. In this article, we cover user reviews. Ready to try ParishSOFT? Request for a demo. Users who gave ParishSOFT a positive review said that its customer support team quickly responds to requests. They also like that they can access the software remotely because it is web-based. Users who gave ParishSOFT a negative review complained that the software is very slow and that it lacks some basic features. They added that the platform is not customizable and is outdated. One user who gave ParishSOFT a negative review on Capterra said that it has a slow reaction time and that there is no option to categorize children by grade-level in the member section. The also complained that the company’s customer service representatives cannot give him accurate answers to his concerns and that the software lacks useful pre-formatted reports in religious education. ParishSOFT employs a customized pricing scheme and doesn’t publish their subscription options online. However, average pricing of software similar to ParishSOFT ranges from $10 to $50 per month and mostly depends on the number of church members and functionalities of the software. 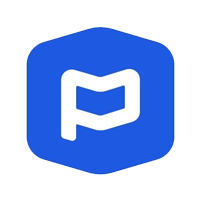 Ready to try out ParishSOFT? Request for a demo. What types of support does ParishSoft offer? Aside from phone support, ParishSOFT provides user guides, support articles, training videos, and onboarding support. Can users run the software remotely? Yes. Since ParishSOFT is web-based, users can run the application from anywhere. Users just need internet access to do so. Not sure if ParishSOFT is the right fit for you? Read our reviews of all top church management software providers or check out one of these three ParishSOFT competitors. The ONE benefit of ParishSOFT is that it is web-based so I can access it remotely. We have so many frustrations in using this program it is hard to know where to begin. It doesn’t appear that anyone on their end has experience with the actual usage of this program. Transitioning between screens is slow, data entry is tedious because you have to keep switching screens, and simple things like auto-formatting dates and phone numbers are lacking. Their religious education module offers very few report formats, so everything has to be created. After 20 minutes on the phone I was told that it was unable to create a label in the format I needed, but I could export to Excel and format them – what a waste of time. We are actually continuing to use our old program as well as ParishSOFT (required by our diocese) – the time we spend double-entering is faster than the time it would take us to actually function in ParishSOFT. They are also lacking a field for member grade , and our request for an upgrade has been ignored for over a year. I was most recently told that I should be happy they were devoting their efforts to upgrading their speed, something I think should have been a ‘given’ before the product was released. I had no input in the selection of this company. I wish our diocese had done a better job of field-testing, or listened to the experiences of those who did the field-testing. 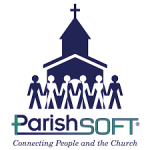 ParishSoft is an excellent company to partner with if you are looking for Church management software. They are one of the few whose software is truly web based (many say they are but are really using remote solutions) The staff truly care about the churches using their software and continually striving to listen to their customers and improve their software based on feedback. They have a family directory software with additional modules for Religious Education, Ministry Scheduler and Offerings and Pledges. You can pick and choose which modules you add to your base product. They also have excellent accounting software Ledgers and Payables and Payroll, that links to the Family Directory software. We have been a customer of ParishSOFT since 2005 and continue to review other software packages in the market but have not found one that does all the ParishSOFT does for the fairly reasonable price that they do. The transition from desktop software to web based software was slower than we would have liked and there are still working on updating/fixing features in Ministry Scheduler. With the big transition from desktop to web the new features that have been added are fairly minimal but they are starting to ramp that up so I anticipate in the next 2 years many more new features and functionality. The web based software is so much better than the desktop software, especially if your organization is in a parish/diocese configuration. No more synchronization and the issues that can cause! We researched ParishSOFT pretty heavily so there wasn’t much we didn’t know before purchasing. They respond fairly quickly to requests for customer support and generally implement a lot of new features/fixes with each new revision. 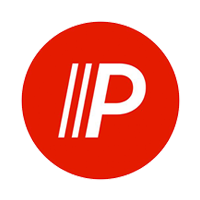 The web-based platform was not initially well designed and as a result is still implementing major changes with each revision to correct overlooked or badly implemented features. 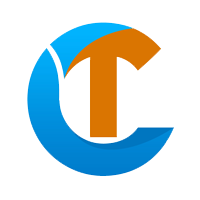 It seemed obvious that the design team for the web-based platform did not collaborate with the programmers familiar with the original desktop based version and it’s various modules so our initial use of Connectnow in late 2015 was just short of a disaster. Had we been allowed the option (the change was Archdiocesan “mandated”) to move to another platform we would have. 2 1/2 years later, the product is greatly improved and our list of bugs and wished for capabilities is much smaller. It’s an okay product but if I had to do it over, I would look for something more robust and flexible created by people who actually understand the day to day activities of a busy parish. That the functionality of the web based platform would be lacking in many of the necessary features provided in the desktop based version.